The song 'Main Taare' from Notebook is out. Sung by Salman Khan, it's about a boy asking the girl if she will ever be able to love him. 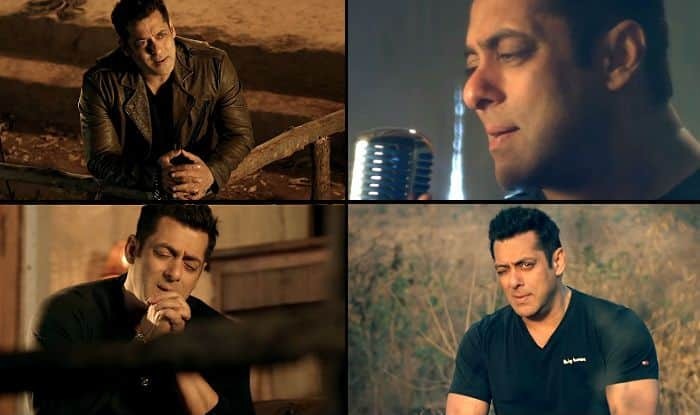 The makers of Notebook have released the much-awaited song Main Taare, sung by Salman Khan. It’s a slow number and has beautiful lyrics. Salman does remind one of his earlier sung number – Main Tera Hero, from 2015 released Hero. However, there’s something about Main Taare that seems fresh and lovely. It could be how the entire song has been designed. There are many close-ups of Salman Khan and he does look suave in all. Main Taare is a melodious song and like other songs from the film, it leaves you thinking about the beauty of love. The film features Pranutan Bahl and Zaheer Iqbal in the lead and their chemistry is visible in the latest song. The backdrop of Kashmir and the kids in the video make it look more visually stunning. Reportedly, this is the same song which was earlier being sung by Pakistani artist Atif Aslam. However, after the Pulwama attack that happened on February 14 killing 40 CRPF troopers, the makers of the film decided not to have any Pakistani artist on board the film. Notebook is directed by Nitin Kakkar and produced by Salma Khan, Murad Khetani, and Ashwin Varde. It is slated to hit the screens on March 29.